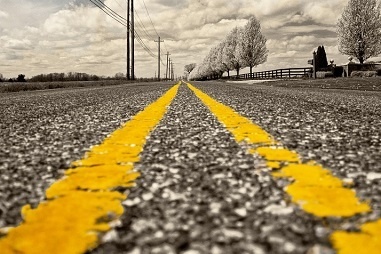 Are you on track for financial freedom? As an expat, you’re likely to have a more transient life than your friends and family back home, and this can lead to both financial challenges and opportunities. Yesterday I began a 3-part series based on the enlightening lecture series that financial educator and best-selling author of Millionaire Teacher and The Global Expatriate’s Guide to Investing, Andrew Hallam, is currently touring the Middle East with. He’s focusing on expatriate financial education, and helping everyone he meets understand their challenges and opportunities. Andrew’s core theme is effectively investing to enjoy the best possible retirement, so you never run out of money, even if you receive no state pension provision. With Andrew’s kind permission, in this series of 3 articles, I’m sharing his wisdom to demonstrate how you can make positive changes today, that will have a hugely beneficial impact on your retirement. This is part two of the three-part series, focused on securing your retirement. In part one I walked through the five steps you can take to determine exactly how much you need to earn, post-inflation, to enjoy financial freedom. Today, it’s all about working out if you’re on track to hit that figure. How much money will you need in stocks and bonds to generate your number…without running out of money? Have you heard of the 4% rule? The 4% rule is a guide used to determine the amount of funds to safely withdraw from a retirement account each year. This rule seeks to balance out providing a steady stream of income, while also keeping a healthy account balance that can grow, thus allowing income to be withdrawn for the whole of your retirement. The 4% rate is considered a realistic rate, with withdrawals consisting primarily of interest and dividends. To get your portfolio goal size, simply multiply your post-inflation income gap number by 25. Are you still with me? If not, talk to us…we can help you through the numbers, that’s what we’re here for. How much do you need to be saving and investing to hit your portfolio goal size? 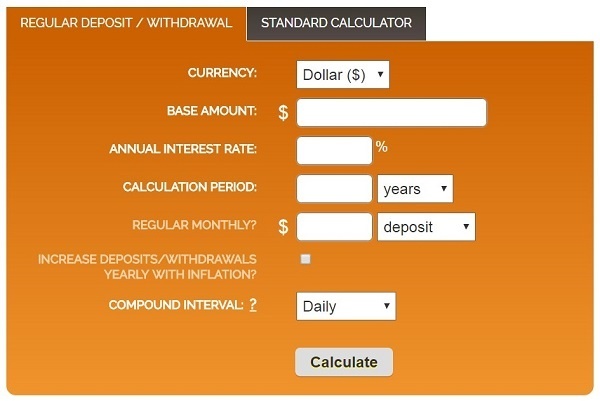 Go back to the compound interest calculator I introduced you to yesterday, and choose the regular deposit / withdrawal calculator this time. Change the currency to Pounds. Enter the amount of money you have already saved or invested towards retirement in the Base Amount field. 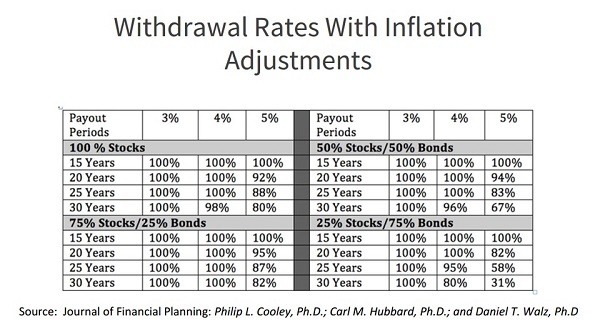 Enter 7% in the Annual Interest Rate field (annual average stock market return). Enter the number of years from yesterday’s Step 1 into the Calculation Period field. 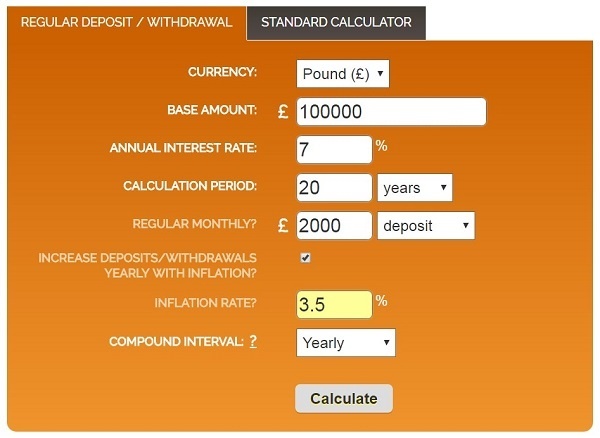 Enter the amount of money you are saving or could save in the Regular Monthly field and ensure you set it to deposit. Assuming you wish to increase deposits in line with inflation, tick Increase Deposits Yearly With Inflation, and set the rate to 3.5% and the Compound Interval to Yearly. 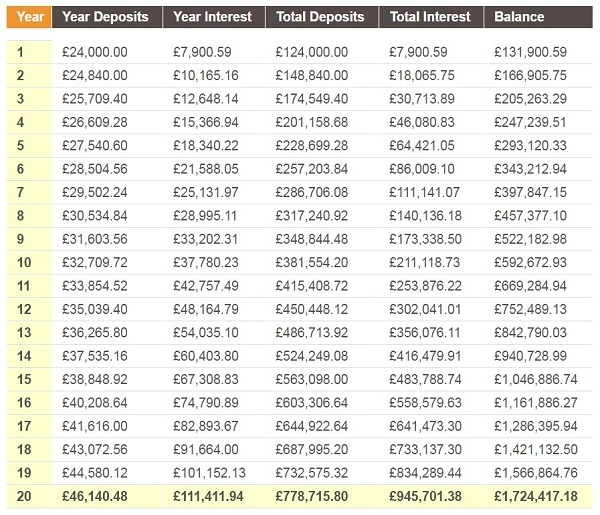 For our example, if we had a base amount of £100,000 already saved towards retirement, invested £2,000 a month for 20 years, assuming a rate of growth of 7% and increasing annual deposits by a 3.5% inflation rate, we’d be on track! You can’t change your age today, meaning if you’re set on retiring in a specific number of years, that limits how long you have to save, and how long your wealth has to grow. And you can’t change the amount you’ve already saved and invested. Firstly, evidence shows that in the early years of retirement, retirees are more inclined to travel and enjoy financial freedom than later in life. Therefore, your requirement for such a large annual sum could alter downwards, meaning you may need less to retire well than you thought. Check your inbox tomorrow for the final – and arguably the most critical and beneficial - part of this step-by-step guide to never running out of money in retirement. No problem, just reach out and talk to us, and we’ll crunch your numbers, and map you a path to financial freedom. If you have savings, investments or pensions already, get a free portfolio review – I bet we can save you money on fees, increase your returns, and get you on track to hit your number quicker than you thought.